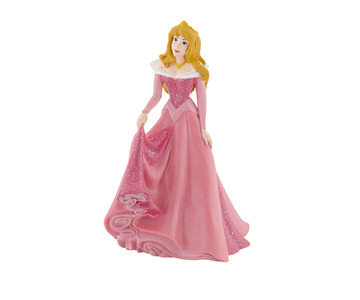 Disney & Pixar Figures, Toys and Cake Toppers. 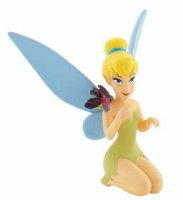 Disney Movie figures from Bullyland and Applause are great fun to collect and also make great cake toppers to complete the perfect Birthday Cake! 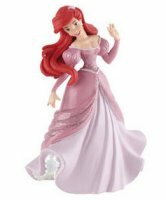 See our range of movies including Disney classics like 101 Dalamtions, Aladdin, Beauty and the Beast, Cars, Cinderella, Dumbo, Finding Nemo, Jungle Book, Lady and the Tramp, Lion King, Peter Pan, Sleeping Beauty, Snow White and many, many more. There are also characters, here, from the much loved Pixar movies such as Toy Story, Monsters Inc., Bug's Life, Brave, The Incredibles, to name a few. Pixar was bought by Disney and all the characters from the Pixar films have been adopted into the Disney family of characters to make these world's of endless imagination even better! Some of the adventures include: Snow White is a beautiful young princess who tries to escape the Evil Queen and finds herself seeking shelter with the seven dwarfs. Belle, which means �beauty�, is as lovely as her name implies. She is beautiful inside and out. She is intelligent, passionate, bookish, and yearns for faraway places and exciting adventures. Cinderella has a very hard life. Her stepmother and stepsisters make her life a nightmare. She is forced to do all of the dirty work for her "family". Rapunzel has been locked in a tower for almost her entire life. This doesn�t mean she�s quiet and boring. On the contrary, this girl with the 20-metre long golden hair is a boisterous, inquisitive teenager who fills her days with art and books. tiny red mark side of face. Great condition. Ideal cake topper! Discounted. Tiny rub in mane.